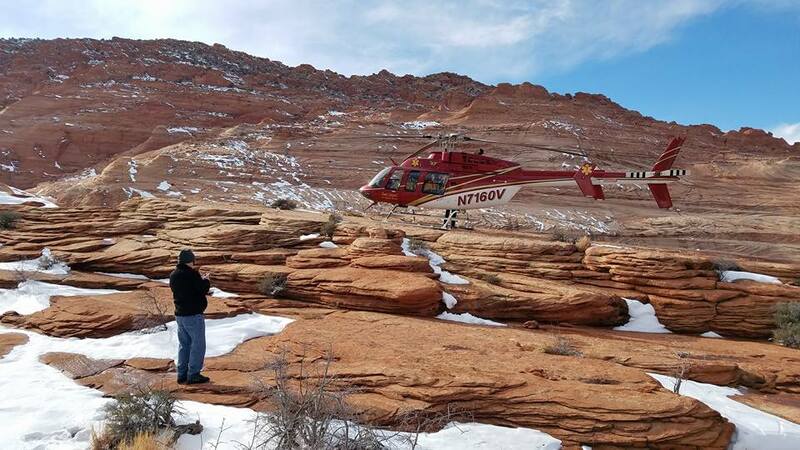 ST. GEORGE — A canyoneering guide helped a woman secure medical attention Friday after she was severely injured in a fall while hiking back from the Wave, a popular hiking destination that starts in Kane County. 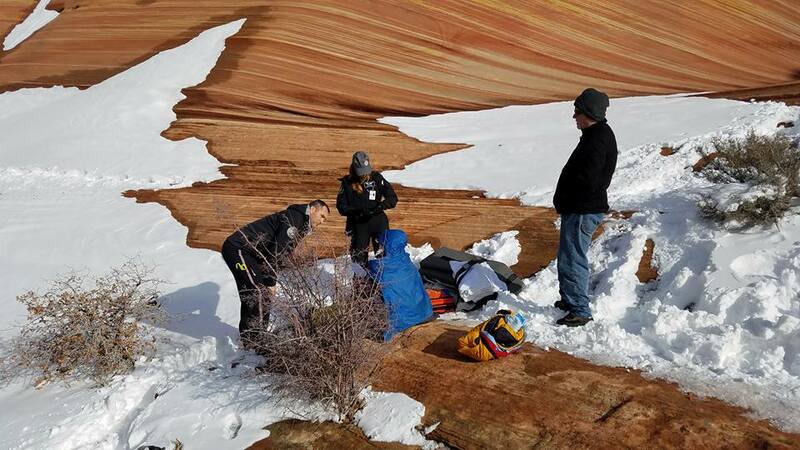 Bruce Speer, who is a guide with Grand Circle Tour and a member of Kane County Sheriff’s Search and Rescue, was alerted to the injured hiker by the woman’s husband. The pair had been leaving the Wave when the woman fell, Speer said, noting that she appeared to be suffering from a possible broken or displaced bone. Speer, who was guiding another pair of hikers nearby at the time, went to her location, called emergency services and performed preliminary first aid. Given the remoteness of the area and severity of the woman’s injuries, a medical helicopter was dispatched to her location. The Classic Air Medical crew arrived and tended to her injuries then flew her to Flagstaff Medical Center in Arizona. “I was so appreciative of the helicopter because it would have probably been a 12 hour carry,” Speer said, explaining that carrying the patient out by foot would have left her and rescue crews exposed to temperatures that were dropping into the low teens. The Wave is located in Coyote Buttes between Paria Canyon and Vermillion Cliffs National Monument off Highway 89 about halfway between Kanab and Page, Arizona. The popular hike meanders through the Utah-Arizona border and culminates at a uniquely wave-shaped rock formation. Speer said it’s possible to get to the Wave without a guide, but hikers are better off with one. Fortunately for the injured hiker, all of the guides are also trained in first aid.